I loved Easter when I was a child. I swear to this day that I saw the Easter Bunny one night coming to hide the eggs. There are a million different ideas about how to decorate, celebrate and enjoy the spring season. I have compiled some great ideas for making your kids remember their Easters for years to come. This post will provide you with fun activities and crafts for the weeks before, during and after Easter. In the weeks just before Easter, gather the elementary age kiddos for some fun crafting to be used on the big day. Jelly Bean Bracelets are both edible and practical. Bracelets can be used to help the children identify what color eggs they need to be searching for during the Easter egg hunt. For example, the youngest girls get pink and green, while the older boys get blue and purple–you get the idea. Give each child a bracelet just before the hunt. This will assure that the 5 year old at the party does not find the 13 year old’s gift. With supervision, most children can help decorate the hard-boiled eggs. The youngest kiddos can decorate with stickers, Kindergartners can use the timeless waxed egg method while the older kids can attempt more intricate eggs like tie dye eggs or melted crayon eggs. Teens can have fun by creating egg decorations that can be used for years to come. Kids love candy–but a little can go a long way. Some inexpensive egg stuffers that will not have the little ones climbing the walls are stickers and finger puppets. Engage the older kids too. Elementary age kids will appreciate coins, hair clips, pony-tail holders, scrunchies, stampers and mini erasers. 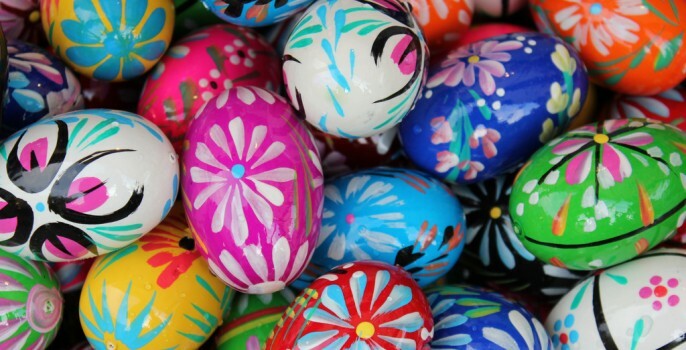 For pre-teens and teens eggs can contain mini nail polish, earrings, folded dollar bills, silly bands, or ear buds. Many of these goodies can be found at your local dollar store or purchased from a wholesale retailer such as Oriental Trading Company. If you are concerned about buying in bulk and having items in your house until you are 50, team up with a few neighborhood moms. This way you can split up the cost and not clutter up your closets. A few eggs filled with chocolate kisses, jelly beans or other sugary treats are just fine if used in moderation. 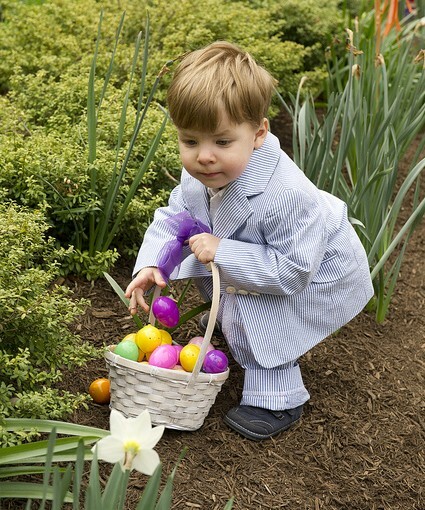 While hiding the eggs, make a cheat sheet of where you have stashed the eggs. This will save you a headache on the big day (and much later–although a hunt to find the stinky egg could always be fun a few days after the Easter festivities). See it from the child’s perspective, younger children will need eggs hidden in easier to find places and lower to the ground while older kids can be challenged by unique hiding spots, higher up hiding places and out of direct line-of-sight. Pre-teens will enjoy a nighttime scavenger hunt with flashlights, or glow sticks. Scavenger hunts are fun for all ages. Younger children will be sure to have a blast following these cute clues to their treasures. You can create your own scavenger hunt for teens by texting a list of items that the teens need to find and take a picture of. The teen with who arrives back first at the starting location with all of the pictures wins a prize. Prizes for second and third place winners can be given if there is a number of teens participating. Note: it is best to have this be a game on foot for the teens–nobody wants a speeding ticket as their “prize” for this game. “Bunny says…“– Played just like “Simon Says” game–(just change the words). No need to have the younger kiddos sit out for this–a gentle reminder and redirection is all they will need. Spoon Egg walk — Adapt for younger children by providing larger spoons with hardboiled eggs. Older children can be challenged with smaller spoons and plastic eggs filled partially with water or jelly beans making them less stable. An obstacle course can be added for an extra challenge. How Many Jelly Beans in the Jar? — This is a great game for older children. Have each child record their name and guess on a sheet of paper and put into a bowl. Award the winner with the closest guess an age appropriate prize. 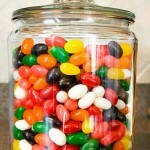 Just don’t forget how many jelly beans were put into the jar in the first place! Roll the Egg — Place masking tape on the floor for the start and finish lines. Place one plastic egg on the starting line for each child. Explain that the object of the game is to roll the egg to the finish line with their nose. Add some obstacles for older children, such as a chair to go around, or tape a line for them to try to follow. If you want to make it very challenging, have the older kids keep their hands behind their backs for the game–this will slow them down and get the crowd going. Don’t let those eggs go to waste! These delicious recipes will put the eggs to good use and have the kids clamoring for more. This recipe has been handed down for generations in my family. I made a few substitutions to lower the fat and calorie content but it tastes just the way my Grandmommie’s used to. With electric mixer, mix cheese, mayo and seasonings together until smooth. Add eggs and olives and mix thoroughly with spoon or spatula. * To make a dip, add sour cream until right consistency. For sweeter deviled eggs you can add 1-2 teaspoons of sweet pickle relish. Peel hard-boiled eggs and rinse in cold water. In a small bowl, mash yolks with a fork. Add the mayonnaise, sugar, vinegar, mustard, salt and relish (if desired); mix well. Flickr photo credits: Cover image by Praktyczny Przewodnik. 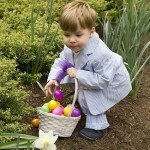 Easter Egg Hunt by MarylandGovPics. Jelly beans by cbgrfx123.